If you have been reading all of my Blogtober posts you will know that I will be featuring my favourite bloggers on Sundays throughout October. With all the negativity that can be on the internet, I find this a nice way to give back to those bloggers that really put in a lot of hard work into their blogs. How often do we go out of our way to tell someone that we enjoy and appreciate their work? The Crimson Cardigan is a blog written by Ashlynn. What I love about her blog is the fact that she doesn’t restrict her content to particular topics. She discusses makeup, baking, saving money and has a fantastic selection of blogging resources. Ashlynn is really great at explaining things, I always check her blog if there is something I want to learn more about. I have said before about how I love blogs that are very real and don’t portray a false image. I want to read content that is relatable and to know that others go through the same things I do. Ashlynn wrote great posts on what it was like during Hurricane Harvey. Here in the UK, we don’t really endure natural disasters. It made me think about what is important in life and things we can take for granted on a daily basis. Ashlynn also discusses mental health and the things going on in her life that she struggles with. As the reader, it helps you to understand that life isn’t positive all the time, we all go through good and bad moments. Also, it makes you feel better if you are in a similar situation to the struggles Ashlynn mentions. The other side to The Crimson Cardigan that I love are the posts about money, working online or making a side income and productivity. I feel as though money tends to be a very private topic, which I do understand why. Ashlynn shares great tips on how to save money and pay off debt. She also wrote about how she made $1000 working from home and shared how this was achieved. Not only is it great that she shared how she did it but also showing that it is possible to earn working from home and without having a typical job. 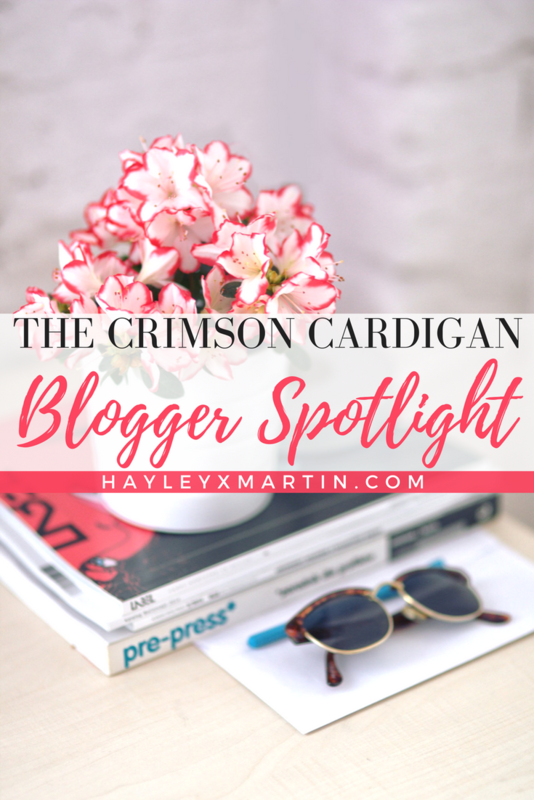 I love that The Crimson Cardigan looks different to the typical blog layout. It is professional and has that lifestyle coach feel to it. Overall, Ashlynn’s blog features the perfect balance of a variety of topics. Check out Ashlynn’s blog here and go and say hello! I’ll have to check out her blog. Thanks for the recommendation. I’m going to check out her blog for sure. Thanks for sharing with us.